Join GHF’s Renee Tallent, Manager of Historic Collections, during two special Gallery Talks in the 1892 Bishop’s Palace. These special tours will highlight numerous items recently gifted to GHF from descendants of the Greshams, original owners of the home, as well as focus on the children of the family. Enjoy a show and tell of items recently donated to the 1892 Bishop’s Palace by the Reid family, descendants of the Greshams. In addition to the new acquisitions, many of which were originally in the house during the residency of Josephine and Walter Gresham, Renee will showcase additional pieces of interest during the tour. Join GHF for a lunchtime talk on the children of Walter and Josephine Gresham. Although a lunch is not provided, guests are welcome to bring a brown bag lunch to the lecture. The talk will last approximately 30 minutes, followed by a brief Q&A. This talk is free with RSVP! Bishop’s Palace, also known as the Walter and Josephine Gresham House, is one of the island’s best known and most popular tourist attractions. 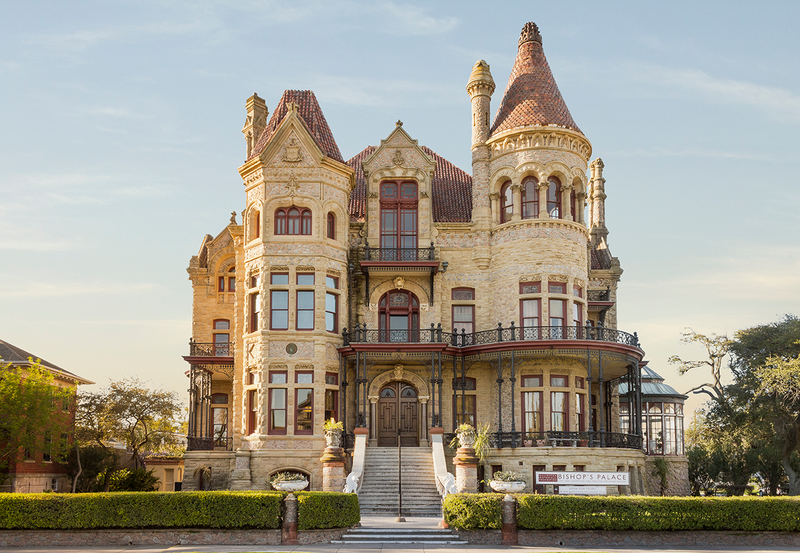 Bishop’s Palace is recognized as one of the nation’s most important late 19th century Victorian residences. Nicholas Clayton, Texas’ most accomplished architect of the period, designed the house for the Gresham family. In 1921, Galvestonians raised money to buy the house for the Galveston-Houston Archdiocese to make it the home of Bishop Byrne. GHF purchased the property in 2013 from the Galveston-Houston Archdiocese. The foundation is the third owner of the property and assumed management in 2007. It welcomes over 65,000 local, national and international visitors each year.